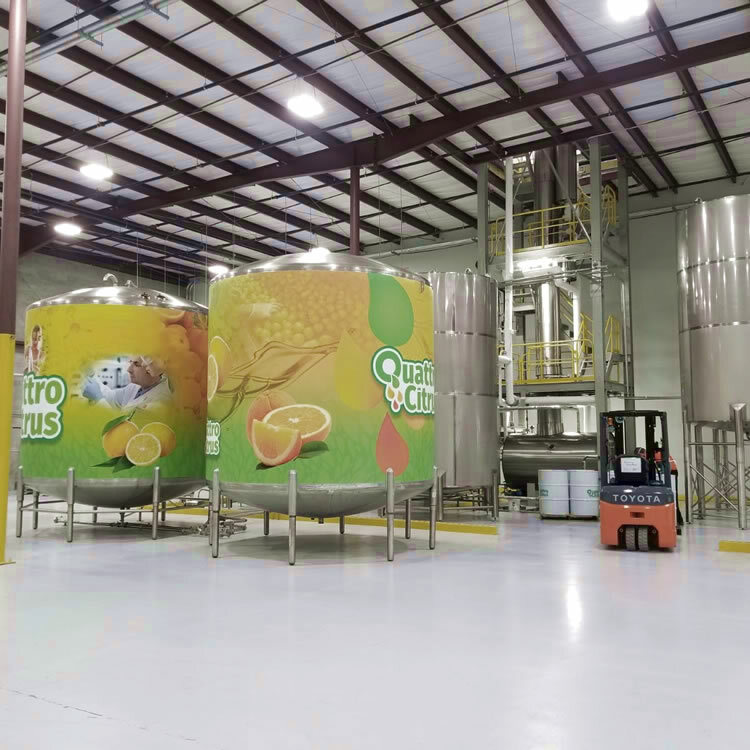 Quattro Citrus Products Project | Systems Design Engineering, Inc.
Systems Design Engineering followed through with their brewing and food service expertise to assist a start-up company transition from a commodity vendor into a production based entity. Using state of the art equipment from around the world, SDE helped design, purchase, and construct a vacuum distillation column for cold pressed orange oil and its distillates. Equipment was purchased from Brazil, Czechoslovakia and the United States to create a working system for distilling orange oil products at the rate of 400 kg/hour. Inductive heating was used instead of the normal steam distillation that provides a superior product at very cost-effective rates. Creating a working system with the local jurisdictions due to the hazardous nature of the product, plus equipment listings for code approval challenged the project, but were overcome with the diligence of all involved.